I did some poking around in our Product Feedback forum but didn't find any posts that covered this particular use case. I'd encourage you to hop over there and create a post with your detailed use case. 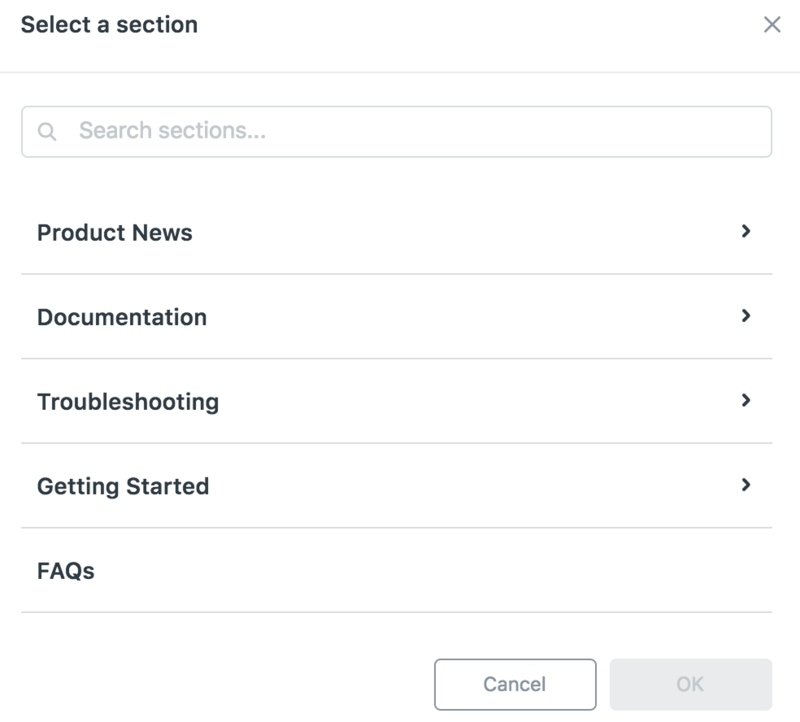 This gives other users the opportunity to add their vote and use case, and also ensures that our Product Managers see your suggestion. Hi Jessie - Is there an easy method to produce a list of all article titles and their corresponding URL's ? Specifically a list that it easily exported or copied into a spreadsheet. I was hoping to have this for traffic reporting...something easy to use as a baseline / starting point for month to month traffic metrics. As far as I can see the only way is to manually compile a list - or work backwards from my analytics reporting which is somewhat cumbersome. Thanks! 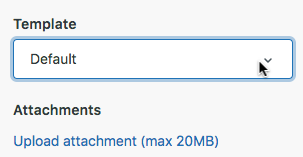 I can't delete attachments in the edit mode, the "x" just doesn't work and nothing happens when I click it. Thanks for updating; I'm glad it's working now! Is there a way to get a list of all the articles and their corresponding labels? It seems like a lot of work to manually go through all the articles and copy / paste the labels which have been added to them. I am hoping that we will not have to use the API to do something like this. I am not a programmer so when I need the report, I need someone else to create the query for me. I cannot sustain this. Whether you'd need to use the API to get your data is going to depend on exactly what you're trying to do. If you can give us more detail about what you're working on, we can let you know for sure! I have some ticket forms and I would like to create an article with some informations and also one of my forms. Is this possible? Welcome to the Zendesk Community. I'm not clear on exactly what you're trying to accomplish - are you looking for a way to automatically generate a Knowledge Base article out of a ticket interaction? I'm trying to create an article to my users. This article has some text information but the user also need to fill a form to send me some information. I already have a form created on zendesk (ticket form) but I dont know how to create this article that has text and a form. You can add a link to your ticket form in your article. To do so, follow the instructions "to link directly to a ticket form in your Help Center" in this article. Is there a way to version published articles? As we release updates to our product, we need to update our customer facing content. We would love a way to be able to write a new version of the article and publish it on the day of release, rather than having to copy and past content from other source into the articles on the day of our release. As far as I can tell, I can edit the article and save as draft, but that leaves the content unavailable in the meantime. Am I just not seeing the option? We have that same need. I have a document that is published. I want to update it a few days before I republish. But, there is no way to do that. So, I have to wait until the date of publishing to make the changes. Would be nice to be able to edit a published articles and save the changes without publishing those changes. Erik, you're right. As Mary said, there's no way to stage an updated version of a live article (except as a draft or an article in a restricted section that you copy/paste from when you're ready). One thought I had the other day is that you could publish the updated version for a quick second, then revert to the previously live (current) version. Then, when you are ready to publish the update, you "revert" to that version. Does that make sense? I know it's not ideal, but my coworker and I did discuss it as a possible way to use article revisions to stage content. Good to know that. Does it let you know in any way that the most current update is not published? There should be some identifier within the article that should let you know an earlier version is published and the current version is not. 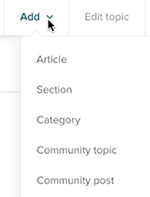 This helps you check on these types of articles so they dont get "forgotten"
No, you'd be using the article revisions feature for this little "staging" trick. So they wouldn't be any special indicators on the articles. You'd just have to know. So in this screenshot, the version at the bottom and the version at the top would be the same version (the "current" version). And the one in the middle is the "updated" version ready for you make live when you are ready. To add to Jennifer's suggestion, if your temporary work in progress version has a top line like "In revision (Work in progress)" then it would be easier for you to identify, and also if a customer did stumble upon it in the brief moment when it was visible, they would be less likely to be confused / annoyed by any discrepancies. I guess that could be a work around. But a built-in indicator would be more reliable to show the article was updated but not published (like a red dot or something). This way it is clearly visible. We cannot rely on people always added "In Progress" to the title or top line. That text could end up getting published by mistake. Workarounds should eventually be built-in to product. But it can be considered in the meantime. Right, but this whole approach is a workaround anyway. It's well-known (by us users and by Zendesk) that there needs to be a clear mechanism for saving revisions in progress. We are definitely working on a built-in feature. And it is not too, crazy far away (from beta at least). So that's good news! Thank you, Jennifer. Knowing these types of enhancements & features are coming is very positive. I will definitely keep you in mind for when the beta starts and let you know, Mary! In this article I think "Inserting videos" hyperlink is not working. Please check it.. if it is working, ignore my comment. Its fixed now. Thanks for letting us know, Atul!